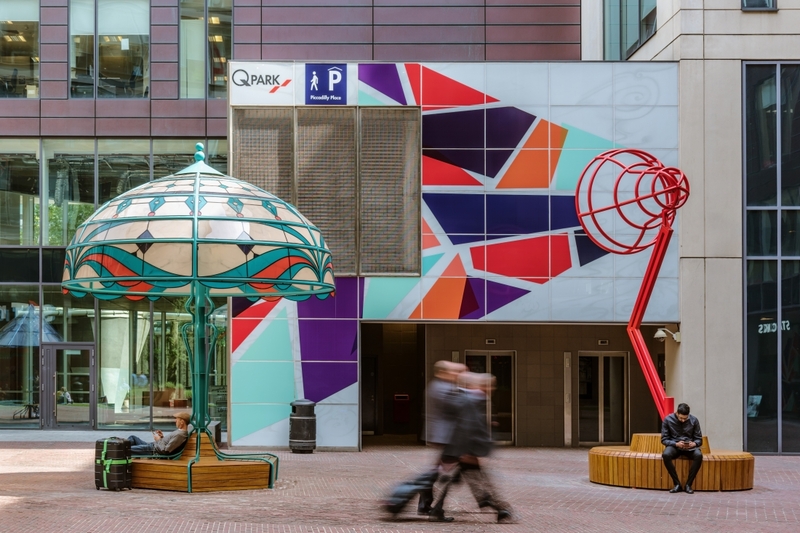 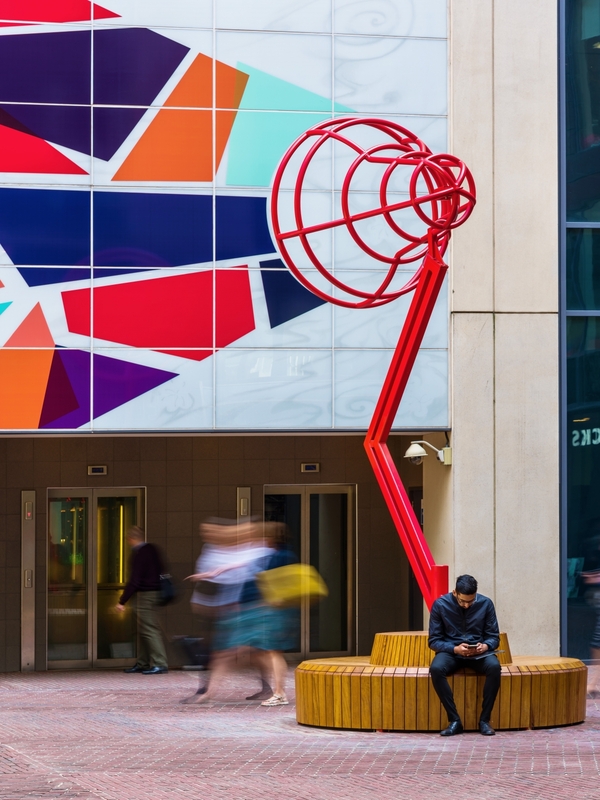 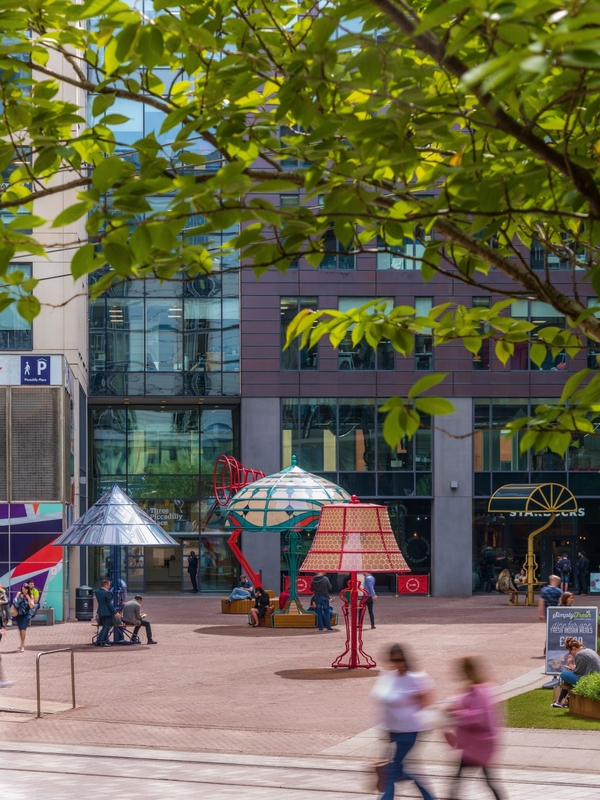 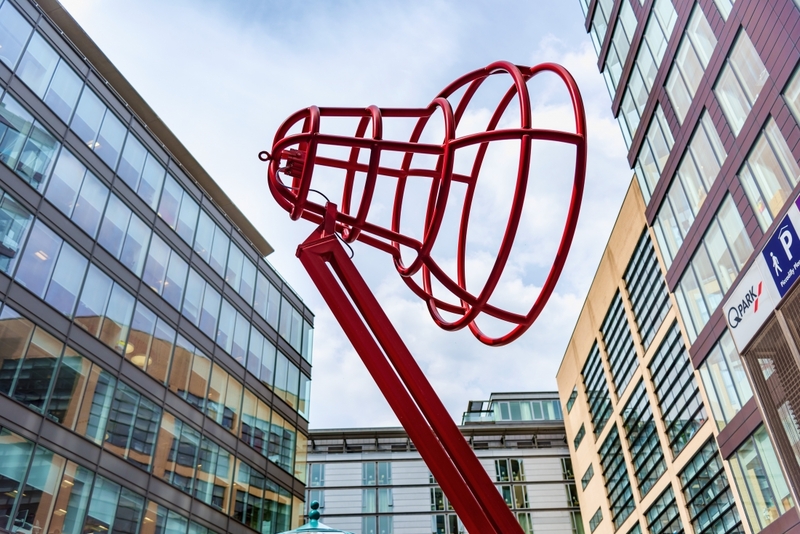 Inspired by the famous Sir Robert Peel quote, “What Manchester does today, the rest of the world does tomorrow”, this public art honours Manchester’s illustrious past whilst optimistically looking towards the future. 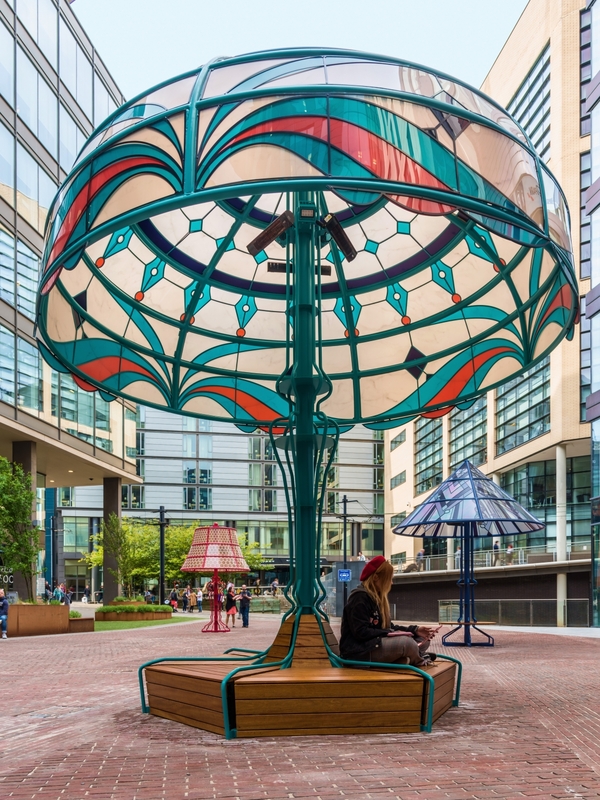 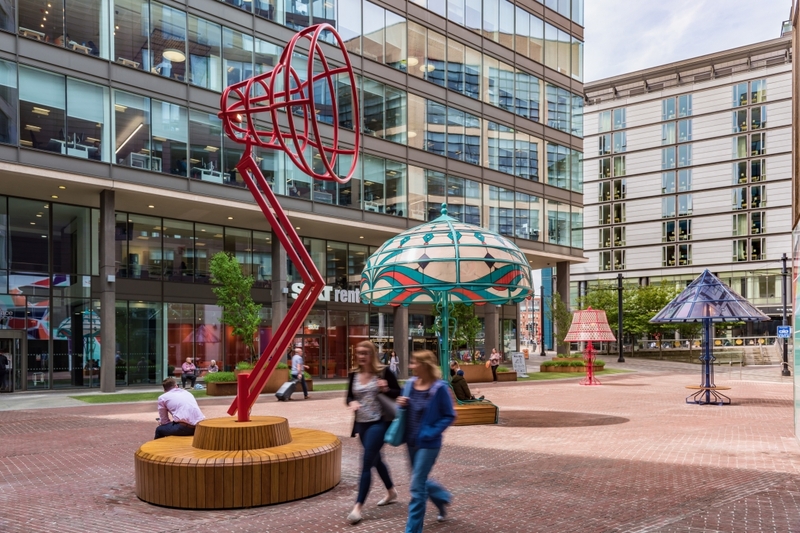 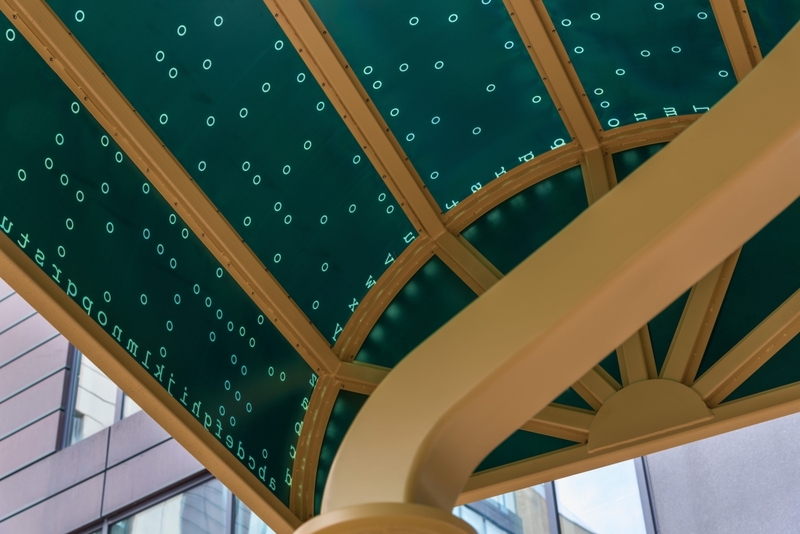 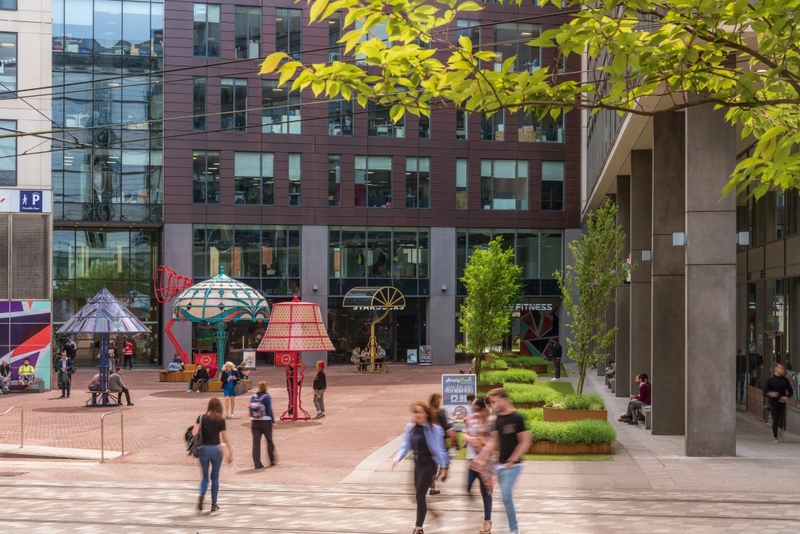 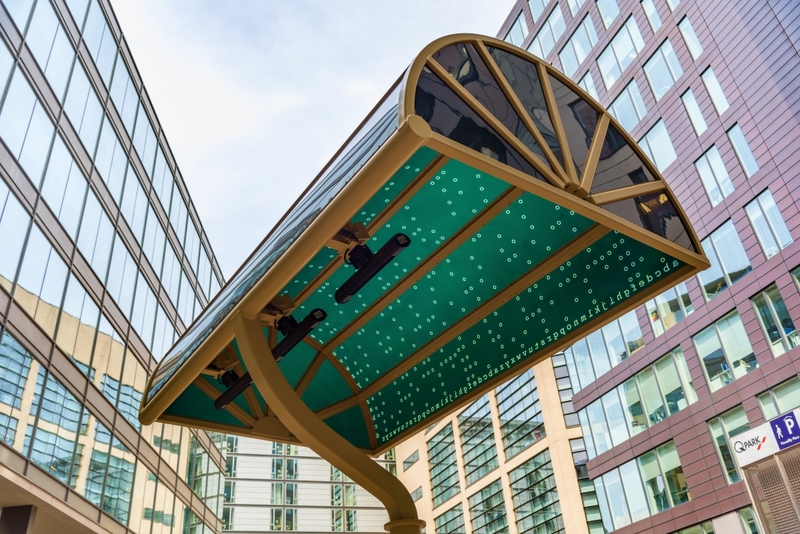 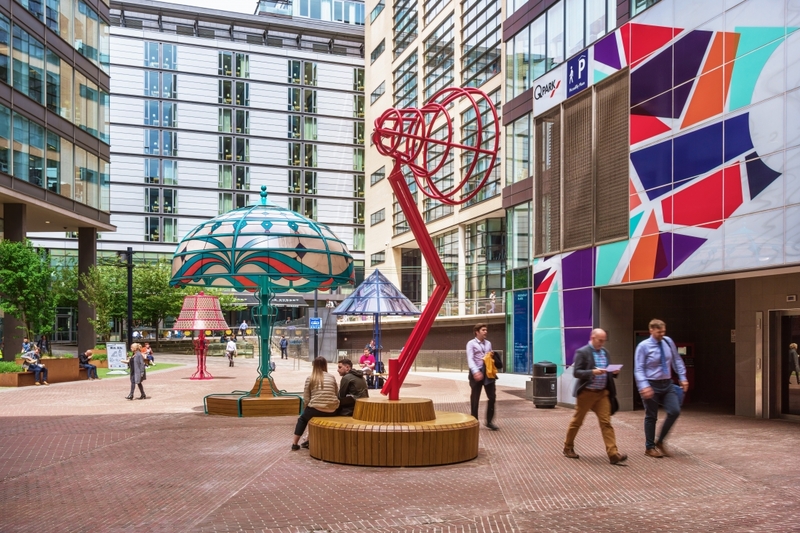 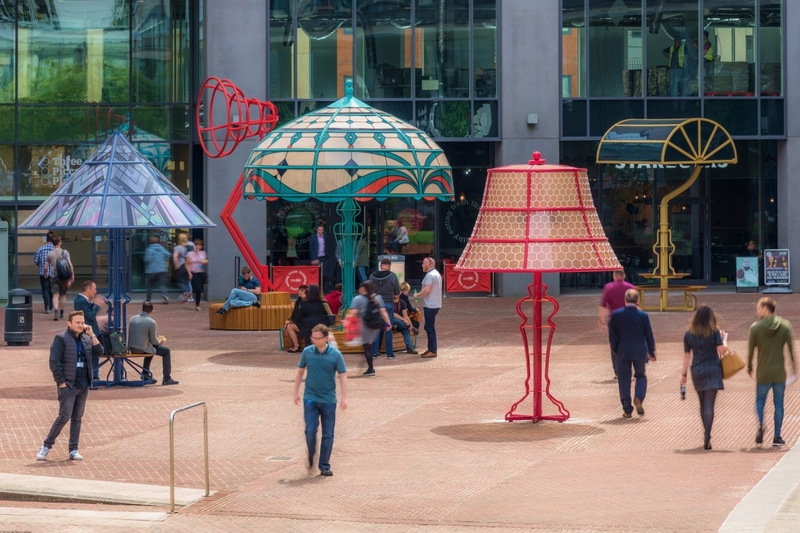 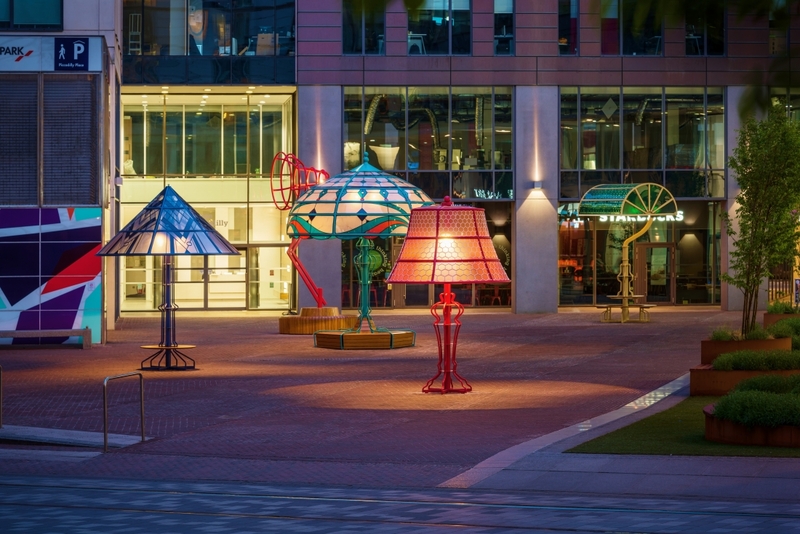 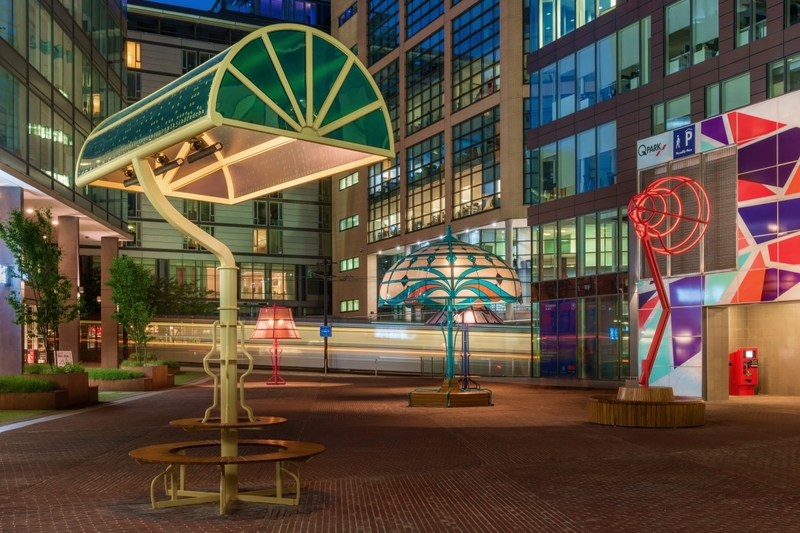 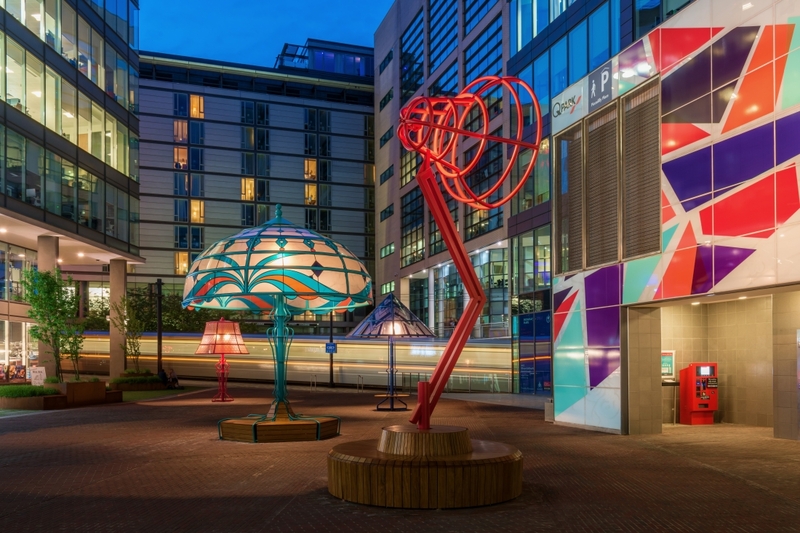 Each of the five installations marks a significant local historical innovation, its time period echoed by the lamps distinctive design style; Art Nouveau, Art Deco, Mid Century, Victorian and Contemporary. 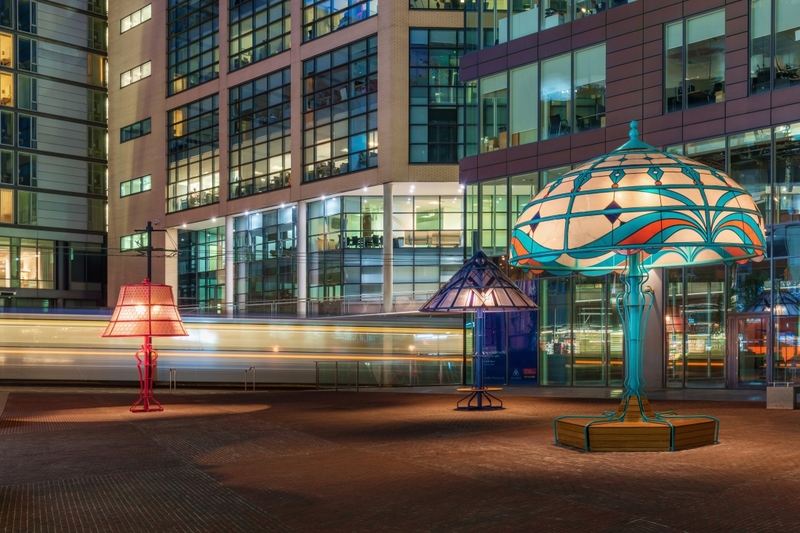 A visual narrative of motifs and graphics are cleverly woven into the shades of each lamp to represent different stories of different eras. 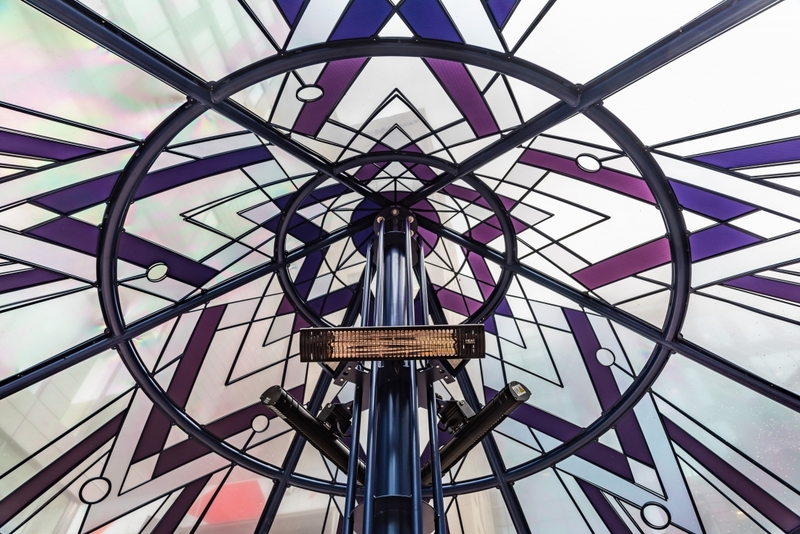 The honeycomb design lattices across the 1950s bedside light denotes the famous Mancunian Worker Bee mantra whilst the green canopy of the banker’s desk light is decorated with the scrambled code inspired by Alan Turing’s cracking of the Enigma code.